We can Help Your Child "Achieve Their True Potential"
Every parent has a single goal and vision of their children – ‘Acquiring a sure-shot place in the desired OC Class, selective high school, achieve their best in HSC and coveted university. We are a pioneer in small group coaching and tutor in Hurstville and are adhere to our mission statement – Helping students learn, achieve goals and excel in the field of academics. We coach our students to attain individualism and develop credibility through active learning approach. They are made capable of being responsible for their skills, knowledge and the varied results. At Master Coaching, we impart more than just a teaching program, aligned with the respective syllabus and curriculum. We teach them the crucial aspect of study skills through a set of assessment tasks and process. At Master Coaching, our students are provided with a solid foundation and support system to breakthrough every type of academic challenge. Through motivation, guidance and constant encourage – we assist our students in developing an edge over their peers. Ensure a Top ATAR Score While NAPLAN Coaching in MyMasterCoach’s Stress-Free Environment. I've been doing English tutoring at Master Coaching for a few months now and I have never once been disappointed... I've been doing English tutoring at Master Coaching for a few months now and I have never once been disappointed as to the choices Harry makes in finding a tutor to suit my needs. I find that their English tutoring is brilliant (I'm sure the rest are too) and that it really helps you to develop useful skills, especially for those who are going into their senior years of High School! Thanks to Harry, and the few tutors I've had who have helped a lot, I really appreciate it! Harry loves his google reviews and is probably the nicest guy in Hurstville, if he could hold you hostage to... Harry loves his google reviews and is probably the nicest guy in Hurstville, if he could hold you hostage to write 5 star google reviews all day he probably would. You can sometimes find Harry strolling around the st George area, brochures in hand ready to recruit a new student, Harry provides a great service to students in and around Hurstville all while living his nomadic lifestyle. I couldn’t recommend anyone better. Both my son & daughter attend Master Coaching in Hurstville and they love it! I can see results already. Friendly... Both my son & daughter attend Master Coaching in Hurstville and they love it! I can see results already. Friendly and great service. Thanks Harry. As a coach at Master Coaching I can see the high quality and standard Harry, all the tutors and I... As a coach at Master Coaching I can see the high quality and standard Harry, all the tutors and I aim to achieve. As a tutor my main goal is to give each student confidence and guide them along their own unique path. Each student has their own unique set of skills and abilities and I feel that it is my role to develop the potential of each student. I treat my students as individuals and recognise their potential to grow and excel. At Master Coaching we seek to provide students with the tools they need to achieve their own personal best. At Master Coaching Hurstville the tutors are passionate about what they do and committed to supporting each student in a... At Master Coaching Hurstville the tutors are passionate about what they do and committed to supporting each student in a way that will maximise their academic potential and ability to perform. They are attentive to the needs of each student and display the flexibility to ensure that the material is taught at a comfortable pace. The tutors at Master Coaching genuinely care about each student and will go above and beyond in guiding them to become strong, capable and confident learners. At Master Coaching, we believe in building, nurturing, and sustaining the bright minds of the children for selective school tutoring and HSC tutoring. We constantly strive to adapt to the best education know-how possible to deliver quality and motivating learning for the kids. We create pioneering learning tactics for the learners, from children schooling to HSC Teens. The expectation of the parents and students are very high from the tutors of Master Coaching. Our little gems come from few of the best selective schools in the town like Scots College, Newington College, St. Vincent’s College, Trinity Grammar School, and many more. It is an honor for us to receive a letter from the Federal Member of Banks, Mr. David Coleman, stating, “your tutoring service offers a necessary facility for smart, driven young people in the electorate who need to be challenged beyond their school work.” Education brings positivity in people and enthuse them to do better work for the society. We seriously think that every individual must learn and grow in life and not limit themselves just to the school hours. Top Resources – Master Coaching is based in Hurstville. It is centrally located for an easy and convenient access for the parents and the students. We have all the modern amenities to help the child with their learning. Experienced Tutors – All members of our panel are experienced and knowledgeable teachers. Our tutors are all experts in various subject areas like HSC English, HSC Math, HSC Physics, HSC Biology, HSC Chemistry and more. They are competent in managing the age groups they teach. 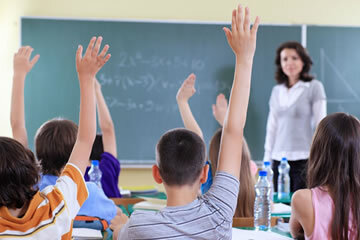 All our tutors are experienced in dealing with the Australian syllabus. Customised – We understand that all the students cannot have equal intelligence. Some may be good in English and some may have a great understanding of Math. We are not judgmental about the weakness of the student. Their weakness is our challenge. Our tutors are highly qualified academic alumnae and post graduates. We customise the learning module of the student according to the particular requirement of the child. Affordable & Stress Free – With in-depth knowledge and experience, our tutors help the student in achieving their dream without any tension. The exam fever is over when the student is learning at Master Coaching. We offer you a reasonable rate which is another reason for the parents to be free of anxiety in this world of expensive education. We aim to make your learning process exciting, easy and effective. We trust the power of these 3 ‘Es’ which can help you face the real challenges of the world. We are deeply committed to solving these challenges faced by the students. We offer small group and individual coaching wherein each child is evaluated individually to understand their potential. The learning objective should never be to scare the kids. Students must be able to love what they are learning to grasp it effectively. We conceive innovative education expertise that restructures the learning process. Our endeavor is to create a lifelong solution for the students, help them achieve band 6 in HSC, and encourage them with the right support to excel in their life. We combine work along with play to help the kids learn a particular lesson rapidly. Our courses are designed, executed, tested, and carried out perfectly. We are located in Hurstville – within close proximity to the primary suburbs. Parents from Allawah, Arncliffe, Banksia, Bardwell Park, Bardwell Valley, Beverly Hills, Bexley, Beverley Park, Bexley North, Blakehurst, Brighton Le Sands, Carlton, Caringbah, Connells Point, Dolls Point, Carss Park, Kingsgrove, Kogarah, Kogarah Bay, Kyle Bay, Kyeemagh, Lugarno, Miranda, Mortdale, Monterey, Narwee, Oatley, Peakhurst, Penshurst, Ramsgate, Ramsgate Beach, Riverwood, Rockdale, Roseland, San Souci, Sandringham, Sylvania, Wolli Creek as well as, from the Eastern Suburbs can enrol their children at our private tutoring centre Hurstville. Are you looking for help with a Physics and Chemistry? We can help you improve your school mark and achieve best HSC marks / ATAR and help you achieve your dream in academic. Physis and chemistry tutor Kogarah, physic and chemistry tutoring Hurstville.